Hayley Waters, Brian Moggre and Amanda Steege start off the HITS Ocala Winter Circuit with a bang! Winter Circuit with a bang! 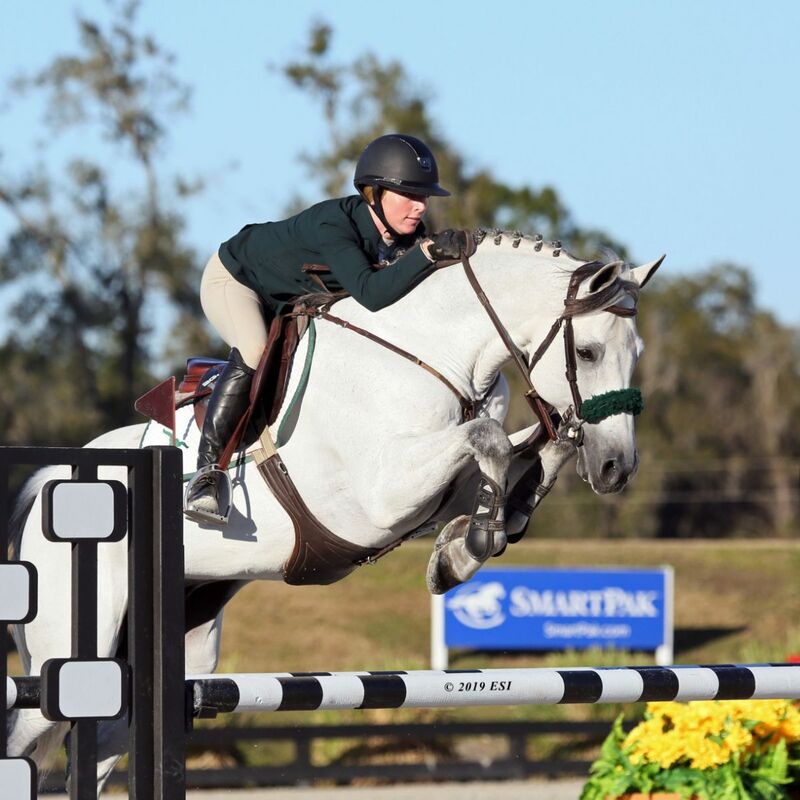 Riders were jumping for joy to compete in the featured classes during week one of the HITS Ocala Winter Circuit. 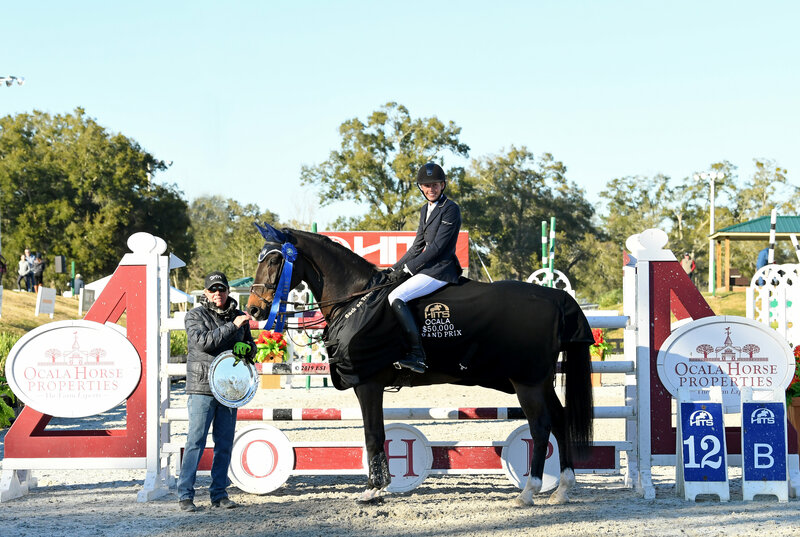 The Ocala January Classic kicks off ten weeks of USEF-Rated show jumping competition. Check out some of the highlights from this week below. Starting off the week, Hayley Waters took home top honors in the $5,000 Johnson Horse Transportation Welcome, aboard CLEAVELAND (pictured to right). Waters crossed the timers in 38.526. Derek Petersen, aboard DIAMANT'S LEGACY, would take the lead in the jump off to earn a blue ribbon finish at the $25,000 SmartPak Grand Prix. Petersen raced to the finish with a time of 37.999 to clinch the win. "My most favorite part of HITS Ocala is that I live here, but with that being said I moved here because of HITS Ocala. It's great because it is such a big property with plenty of area to ride, so much that you don't feel like you are squashed into the horse show grounds. Hayley's Grand Prix horses are both on the older side but she is planning on showing in the two $100,000 Grand Prix and hopefully the Million. We are also planning on making a trip back out to Saugerties in the fall for the HITS Championship and would love to go to HITS Chicago." Brian Moggre and MTM FLUTTERBY would take the win in the $10,000 1.35m Jumper Classic with a time of 35.147. Olivia Dorey had the winning ride for the $2,500 Pyranha Jr/A-O/AM 1.25m Jumper Classic on QUO VADIS. The blue ribbon round for the $5,000 Summit Joint Performance Jr/A-O 1.35m Jumper Classic went to Waters, aboard EXCEL. Bryn Sadler would ride to first in the $7,500 U-Dump Jr/A-O/Am 1.45m Jumper Classic with a ride aboard CEZARRO. Moggre would finish the week strong with a win in the $50,000 HITS Grand Prix aboard MTM VIVRE LE REVE. Moggre, the only junior to compete, would clock a time of 41.839 to take the blue ribbon. 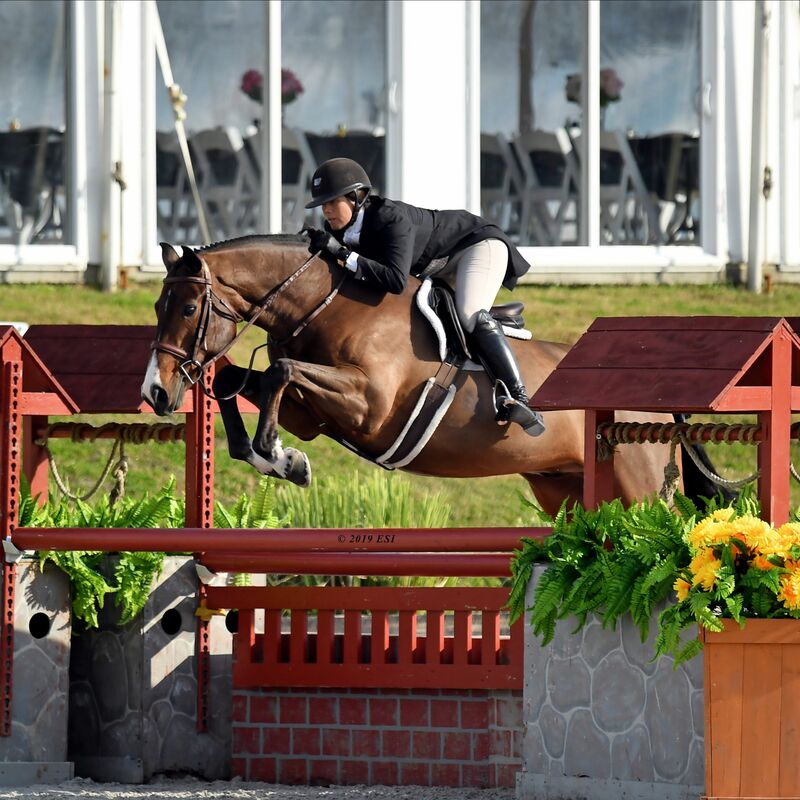 The Hunters started off their qualifying circuit for the HITS Championship, held annually at HITS Saugerties in September. Riders came in ready to win, (but only one would take home the blue) in the $1,500 Platinum Performance Hunter Prix. Erin Brody, aboard FOREVER, would receive a score of 83 in the first round, followed by an 86 in the second round to win the class with a total score of 169. Earning the winning ride in the $5,000 Devoucoux Hunter Prix was Amanda Steege and LAFITTE DE MUZE, (pictured above). They scored an 84 in the first round and an 88 in the second round for a combined total of 172 . HITS is excited to return for its 38th consecutive year of horse shows! Be sure to check out the prize list, available now, for details on all the HITS Ocala Winter Circuit has to offer. Don't miss out on the excitement. Enter today!